Letting Go - Rebekah & Co.
My grandmother ism’t doing well, and I feel the need to write about it in the hopes it will make me feel better or at least feel something. I didn’t know it was possible, and you probably won’t understand but I feel both numb and completely broken inside at the same time. This post is going to be raw and depressing, so if can’t handle that, I don’t suggest you stick around to read it. Today of all days I need to write for me and not for readers, so if you are offended by this post, I’m sorry. I’m not writing it to seek out pity. I am writing simply to get it all out. This week has been a roller-coaster of emotion. We heard on Friday, from my Uncle, that my mom’s mom had taken a turn for the worse. The Parkinson’s Disease had finally started to claim her body. It had claimed her mind and memories years ago. She hasn’t known who I am since 2010, but that has never been what mattered. It has never been hard for me when she didn’t recognized my face when I visited, or my voice when we spoke on the phone. It’s not about me. The torture is seeing someone you love, trapped in their body. She has been a soul trapped by her body for years, living in a world of fear, misunderstanding, and despair. There hasn’t been a light in her eyes for a few years. She used to have moments of lucidity, but those and her speech vanished some time ago. Now she is a shell of a person. Initially the doctors told my mom on Friday that it could be days or weeks. She could fight the infection, she could recover. But she never really can recover. She will never be the loving warm person I knew. Yesterday as I was driving back to Atlanta from my parent’s house, my mom called to tell me that my grandmother’s doctors had called to say they need to get up there ASAP, they thought my grandmother only had a few days left. She had taken a turn for the worse. In reality it is a turn for the better. It may seem callous, but I’ve seen her life, and it is no way to live. It is no way I would want to live. When she is conscious and present, she is in constant fear. We once took her outside and she panicked that the Nazis were coming to get her and we had to go back inside until the war was over. Periods of incoherent consciousness, unconsciousness, or fear. That is her life. For her to pass would be a blessing, a freeing from the body that has trapped her, but as much as I know this, letting go and accepting it isn’t any easier. But again, this isn’t about me. It’s about her. And I want her to have peace at last after such a fear-filled life. I feel such anger at the suffering she had to endure. We all have hopes for what our lives will be, and although I am not a mother, I know we all have hopes for what the lives of our children will be. The hopes my great-grandparents had for my grandmother dissolved with the start of WWII. 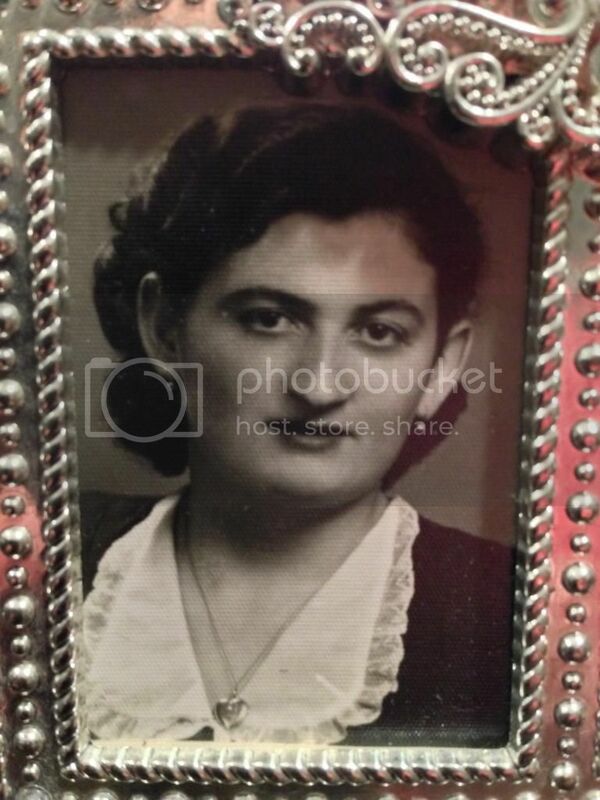 My grandmother and her family fled Poland with the invasion of the Nazis. We are Jewish after all. They fled to Russia, ending up in Siberia where my great-grandparents worked in one of Stalin’s work camps. My bedtime stories as a child from my grandparents were always about the war. I was exposed to the brutality and hatred of mankind at a young age. I remember stories of how they lived in a mud hut in Siberia, how her and her brother went to find food for their starving family in winter and stole a horse from a farmer to eat. As they were leading the horse back through the woods to their hut, a pack of wolves picked up their scent and chased them. My grandmother and her brother spent the entire Siberian winter night up a tree out of reach of the wolves. The horse fled and fell through ice on a river where it drowned. My grandmother and her brother went through it all for nothing, and went home empty handed. I also heard stories about how her beautiful sister had to have her legs amputated while they lived in that hut. She always cried when she told me that story. You may think it cruel for an adult to tell such stories to a child, but she wanted my sister and I to know what happened to our people, to remember. 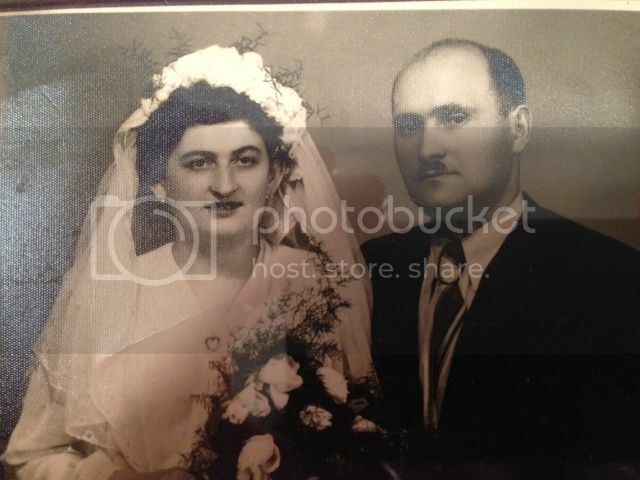 After the war my grandmother met my grandfather and they got married. He was the lone survivor of his family. They had all died in the death camps. My grandparents lived in Poland, had my mom, then had my uncle. They moved to America, smuggled on a boat in the middle of the night in 1963 when my mom was 10. We think my grandfather was involved in some illegal dealings in Poland, and had to get out right away. He had spent time in jail there before. He was a tough, pugnacious man who did everything he could during the war to fight the Nazis. He left home, fought in the Red Army, worked with the Austrian Underground to smuggle Jews to safety, and was also involved in Oskar Schindler’s endeavor to save Jews from the death camps. He continued in similar activities after the war in Poland where anti-semitism was still high and Jews were unable to work certain jobs, making it difficult to earn enough money to support your family. So my grandfather, not being the type to cow down without a fight, did what we suspect to be illegal business, whatever it may have been, to get his family by. After coming to America, my grandparents who knew no English got jobs working in factories, and supported my mom and uncle. The had a nice little apartment in Brooklyn, and by all appearances seemed to have achieved the American dream – a fresh start, and the ability to succeed if you worked hard. However, they never really adjusted to the American way of life. 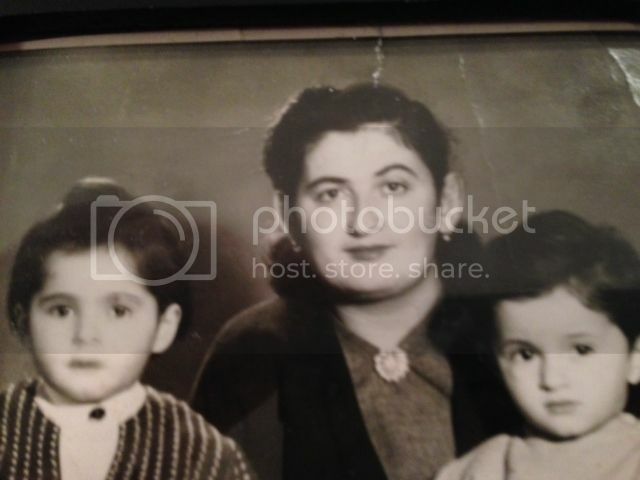 My grandfather until the day he died (I know because I was there that day), lived with anger and guilt for being the only one of his family to survive. He also lived with fear. He kept a stockpile of vodka and rice under the sink for when the Russians came. We couldn’t throw it away until after he died. Where my grandfather felt anger, my sweet gentle grandmother felt pain and despair. She was depressed most of her adult life, and really who could blame her? She would watch the news, see war in Bosnia, and call my mom hysterical that it was happening again. She still lived in fear. When she was with family however, she was truly happy. She always had a loving hug for my sister and I, always had some fun crazy antics or games for us to get into. Some of my fondest memories from childhood include her. She, my sister, and I would have battles with rolled up socks from the upstairs to the downstairs, chasing each other around leaving balls of socks in our wake. She would put us in the center of a blanket when we were little, grab all 4 corners and drag us around the house while the dog chased us. To us she was the most fun adult we knew. More importantly, she was gentle, loving, and kind, in spite of all the pain and horror she experienced in her life. I know my writing of her in the past tense may seem cold, since she is still with us, but truly, we lost her long ago when the dementia took her mind. I have always considered myself to be a strong woman, but I look at my tiny, frail, weak little grandmother and realize I’m not strong. I’ve have an extremely easy life. I was born in a country where I have never had to worry about war, I have never had to wonder where my next meal was coming from. I had a childhood free of worry and responsibility. I haven’t had real struggles like she has. She is a truly strong woman who has fought so hard to survive, during the war, after the war in Poland, and now against her Parkinson’s. I don’t want her to have to fight or fear anymore. I want her to finally know peace. I want her to be happy. I want her to have the childhood and life she deserved instead of the one she had. I’m so angry at the injustice of it all on her behalf. All I want for her is to finally have peace. The peace she never truly had in life. I want her to be in a place where she no longer has to fear. I just want peace for her. Finally. And I want her to know how much I love her. I hope that deep down inside, in the place where there is no dementia, she knows.